It is the end of the road. Yet, once it was not. the romance of the forbidden. But oh, it didn't stop there. An American coming-of-age story simply told and yet if captures the audience like never before. Greta Gerwig's protagonist Lady Bird belongs to a middle class American family that is struggling to keep afloat financially. While her parents are trying to make ends meet, Lady Bird is on a mission to find her individuality. She does this in very bold ways even as she acknowledges and embraces the vulnerability she feels every step of the way. We watch her fail and fall, but she manages to come out of it somehow, not always unscathed, but always wiser. Lady Bird, a name she has given herself, is committed to finding a better life despite her menial roots and her ordinary family. She fights to be different from everything that she considers commonplace, and that includes her mother and her brother. Never afraid to take risks, Lady Bird often lies to get herself a better deal in life and sometimes gets caught in the process. However, she is undeterred in her pursuit of identity, one that she hasn't quite figured out as yet. Lady Bird is a simple tale, told simply, about the simple things in life that strengthen us and bring meaning to our lives. That 'love' really manifests itself in the 'attention' one gets or gives to another person, is such a simple learning; yet, it is a learning that evades most of us and goes unrecognized in most relationships. How can a story be so 'simple' and manage to capture you in so many ways? How can a character be so vulnerable and so bold at the same time? How can life be both bitter and sweet at the same time? The movie Lady Bird shows us just how. Helen Simonson's Absorbing Read - "Major Pettigrew's Last Stand"
What is it about romance that makes this world more palatable, even rosier! Helen Simonson's novel "The Last Stand of Major Pettigrew" does just that. It looks at racial tensions, gender disparity, old age, and a dysfunctional family unit with humor and empathy, and that is what makes the novel so enchanting. The story revolves around an unlikely and disapproved liaison between a retired Englishman and a Pakistani widow both of who live in a small and scenic village in England. The picturesque setting and the witty dialogue cleverly camouflage the racism and snobbishness that exist in the village, and the reader for the most part enjoys a humorous and heartwarming tale of romance. However, every now and again, there are dialogues that could well be aphorisms about gender issues, and human relationships. Luckily, they don't dampen the light hearted banter between characters which makes the novel so enjoyable. The novel is a must read for an older reader as it explores the changes, both personal and social, that come about in an older person's life many of which are hard to face and others hard to accept; like Shelly said, "Our sweetest songs are those that tell of saddest thoughts." Again, there is nothing really 'sad' about the novel. It is upbeat, easy to read, and funny; yet, for those with a finer sensibility, it will leave you some resonating questions. I watched three very different movies in this last one month and surprisingly liked all three. The first one was in Marathi, the language spoken in the state of Maharashtra in Western India, the second one was a science fiction in English, and the third one was also in English, but the movie was set across two continents. Diverse and widespread the movie making world might be, yet how similar its goal, that of appealing to the human imagination, suspending any disbelief the audience may hold, and weaving a story so real that real lives are put on hold. "Family Katta" the Marathi movie I watched, was much talked about, and the movie lived up to that reputation. Based on a play, the entire movie plays out within a span of two days, each day providing a unique flavor of unrelenting drama. The movie explodes long held myths about Hindu family traditions especially with regard to aging parents and gender roles. The movie has several climactic moments that baffle you yet keep you glued to the screen. Marathi theater has always been held in high esteem in India and abroad with luminaries such as Vijay Tendulkar and Vijaya Mehta to boast of, but after watching Family Katta, and Patekar's "Nattsamrat" in the past couple of months, I think Marathi cinema is fast becoming a force to reckon with as the movie "Family Katta" illustrates. Undoubtedly, a must see film, even if it's with close captions. Villenueve's science fiction film "Arrival" is another movie I watched. Primarily for two reasons: one I liked Villenueve's last directorial venture "Sicario" a lot, and I like actress Amy Adams. Though not much of a sci-fi film fan, I was captivated by recent sci-fi movies like "Gravity" and "The Martian", and "Arrival" definitely belongs in this category as well. "Arrival" threads a very personal human story within a sci-fi interplanetary mystery which adds a unique ethos to the story. As a language teacher, I particularly liked how communication and language become the pivot for averting an interstellar conflict in this movie. 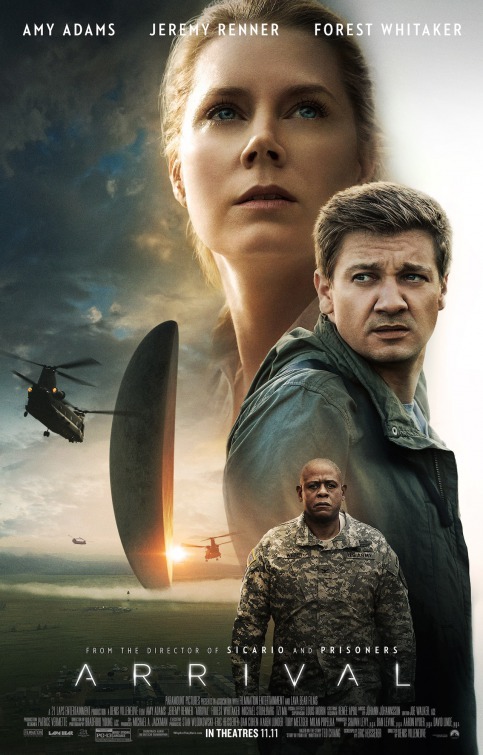 Amy Adams plays a linguist, who with Jeremy Redner, a mathematician in the story, is made responsible for handling alien landings in different parts of the world. "Arrival" is a movie you mustn't miss! 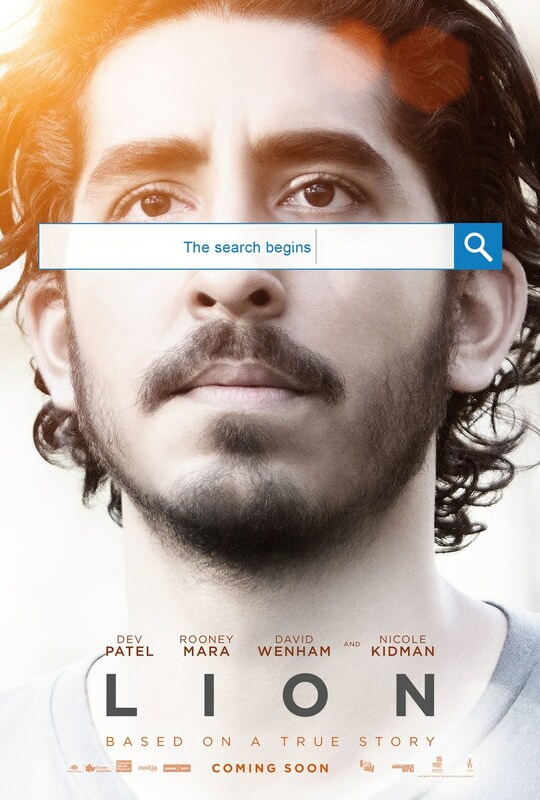 "Lion" is the third movie I watched, and this one is also a 'must see'. Though quite different from the other two films, it is just as engrossing. It deals with issues of identity and spans across two countries, Australia and India. The first half of the movie dragged out a bit, for me, but that may be a matter of opinion because the rest of the audience loved every bit of 'Saroo''s' sad and seamy journey through and in a corrupt and crowded Kolkata and surrounding areas. Based on a true story, I guess the writer director had to stay true to what actually happened, and that may perhaps be the reason that the movie seems like a documentary at times. Nevertheless, it's ability to capture one's imagination stays put, and Dev Patel, of the Slumdog Millionaire fame, may be the reason for that. He does a pretty good job of being that young man who is tormented by a past he cannot put his hands on; at least not until he embarks on a strange journey, one without a prescribed destination. Though this may be a give away, but I have to say that Larry Page and Sergei Brin should consider subsidizing the costs entailed in the making of this movie since the movie is quite the advertisement for the Google Earth app! All in all, Lion" is definitely a movie you should watch. it is a recluse of sorts. a grey n green epiphyte. the moss now settles to grow. is beholden to its kindred host. the sun the land and bonding. an abode that's all abiding. 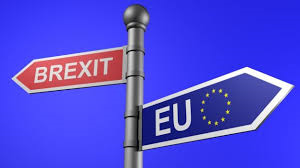 and will not an 'exit' demand! 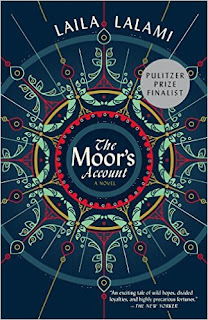 Laila Lalami Explores the Master Slave Dynamic in "The Moor's Account"
"The Moors Account" by Moroccan American Laila Lalami is a captivating read. Written in the historical fiction genre, the novel is based on the voyage chronicles of Panfilo de Narvaez in the 1520s. 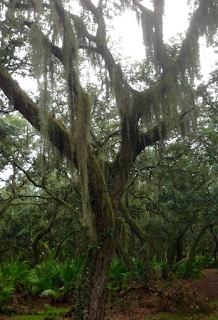 The narrator in this novel is Estebanico, a Moor and also the first black slave of the white world, who accompanied his Spanish masters on an exploratory mission during the era of colonial expansionism into Florida, the land of Native Americans. Estebanico, originally Mustafa-Al-Zamori- a native of Azzemur and not a slave, falls into bad times when his father dies, and soon after, the Portuguese soldiers start taking over his homeland of Azzemur. In the face of dire poverty, Estebanico, only a teenager then, sells himself for a few gold coins to Portuguese traders in order to save his mother, his sister, and his twin brothers from starvation. That is how and when Estebanico who only a short while ago was "selling slaves" is now "sold as a slave" and not for the last time; he would soon be resold to a group of Spanish explorers and embark on a doomed expedition during which he would be "one of only four crew members to survive". Not only does he, Estebanico, survive, he also becomes the voice of his expedition, and in more ways than one. The question that arises is, will it be his, a slave's, version of what happened on this ill fated expedition that will get reported back to his Spanish conquistadors? Will the Moor's account hold credence with his colonial masters even if it does with the reader. A master writer, Lalami in "The Moor's Account" cleverly explores and lays bare the circumstances that lead to the establishment of the slave and master dynamic as it unravels in the encounters between the Spanish conquistadors and Native Americans seen through the lens of Estebanico, a black slave. At the very outset, Estebanico tells the reader that his current name "was the name the Castillians had given.. when they bought him from Portuguese traders." His name was "a string of sounds whose foreignness still grated on his ears, and..... Estebanico was a man conceived by the Castillians, quite different from the man I really was." Who was he really, is for the reader to find out in this captivating story of Lalami's. It's a story with a 'foreign' and 'different' narrator who finds himself in an unknown and unforgiving terrain with men whose loyalties are not only sketchy but are often divided and or changing. During the course of the expedition, due to changed and challenging circumstances, the narrator, in spite of his dark skin, foreignness, and his slave status, finds himself elevated to various roles no slave had ever gotten before; those of a deal negotiator, a story teller, a medicine man, even a messiah, and most importantly a savior for his three Spanish companions, his 'masters'. This role reversal creeps up so naturally that even the three Spaniard 'masters' of Estebanico simply go along with it. It is through this role reversal that Lalami showcases the establishment of the master slave dynamic during the colonial era. Having read this far, wouldn't you want to know the ending of the novel; it's definitely one that the reader will carry within for a while. "The Moor's Account" is a must read for anyone who likes a good story. This novel of Laila Lalami's was a Pulitzer Prize Finalist this year, and deservedly so. Ms Lalami is indeed a great story teller; she spins a yarn so engrossing around a bitter naked truth, and the reader takes it et al. with hearts and red roses. Yet who can resist it? could manage to repulse it. that it'd launch a thousand ships. with Taj's, tombs, and minarets. with a Picasso or a John Donne. be it with a ghazal or a Sufi tune. so just feel and enjoy it. Does it end, or does it change? to make a guess or say. V.S. Khandekar's "Yayati- A Classic Tale of Lust" Expounds A Puranic King from Hindu Mythology. I had seen this novel on my mother's bookshelf, decades ago, in another language, so when I came across a translation of Khandekar's "Yayati-A Classic Tale of Lust" on Amazon, I had to read it. Yayati is a 'Puranic' King from Hindu Mythology who lived for a thousand years in eternal youth after exchanging his old age with his son's youth. Married to the beautiful Devyani, daughter of the powerful sage Shukracharya, after a chance meeting, Yayati had to now follow both the Kshtriya and the Brahmin creed. This was no menial responsibility as Yayati soon realized, especially since he had a tragic flaw; he could not resist beauty and fell prey to it throughout the duration of his long life, more so in the time of his borrowed youth. Even marriage to the divinely beautiful Devyani did not stop Yayati from having relationships with other women. One such relationship was with Sharmishtha, a Kshatriya princess who, due to a curse, was serving as a maid to Devyani. It was Puru, the son born out of this union between Yayati and Sharmishtha, who when he was in his late teens, agreed to trade his youth with his father's old age and thereby gave Yayati several lifetimes of eternal youth. This selfless sacrifice of a son for his father has captivated the Indian psyche for centuries, and even today in India, a son has some unquestioned obligation to follow his father's command. The classic episode of Yayati & Puru has been the focus of attention for centuries, and V.S Khandekar, in 1959 chose to weave this tale into a Marathi novel written from the point-of-view of three of its main characters: Yayati, Devyani, and Sharmishtha. Khandekar used this three pronged approach to intricately explore the impact of Yayati's lust for and obsession with pleasure that made him unabashedly declare, even at the end of his thousand years of youth, "My lust for pleasure is unsatisfied..." Khandekar's novel provides multidimensional insight into Yayati's choices, and how they affected his life and the lives of those he loved and those who loved him. Khandekar's character Yayati, though controversial, is also very likable and definitely intriguing; he reminds me of two other mythical figures who've had plays and poems written about them such as Oedipus and Tithonus. All three tried to challenge their prescribed lot and suffered as a consequence, but for whatever reason, all three have captured the human imagination for thousands of years. 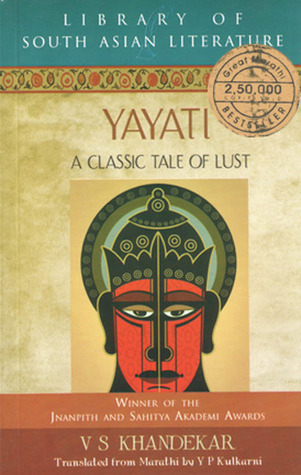 Yayati, though a lesser known mythical character who features in The Mahabharata, made himself popular with Indian playwrights and novelist because of his Epicurean nature, his lust for the carnal in life. Down the ages, the character of Yayati has made people wonder, and artists, like Khandekar, have tried to interpret him in their own unique ways. In 1961, Girish Karnad, a renowned Indian playwright and actor, wrote an award winning play based on the character of Yayati which has since then been translated into several languages and has been staged in different corners of the world. In fact, a new phrase- the 'Yayati Complex', similar to 'the Oedipus Complex', was coined as a result of Karnad's play based on Yayati. Given that this is an English translation of the Marathi original, the writing does palpably distance the reader; I could never lose myself in the tale, and my disbelief was almost never suspended, yet, I never wanted to let go of the story! Yayati's tale has that quality, and anyone familiar with Indian Mythology will want to read this English translation of Khandekar's 'Yayati' that won the novelist a Jnanpeeth Award. Clearly, myths and folklore fascinate the human mind, and artists can borrow tremendously from that inexhaustible source that came down to us through the oral tradition of the past. There may be so many more Yayatis and Oedipuses waiting to be found, recognized, and expounded in the mythologies of the world.